a dance history: Adaptations and the Metropolis Conference - How did it go? 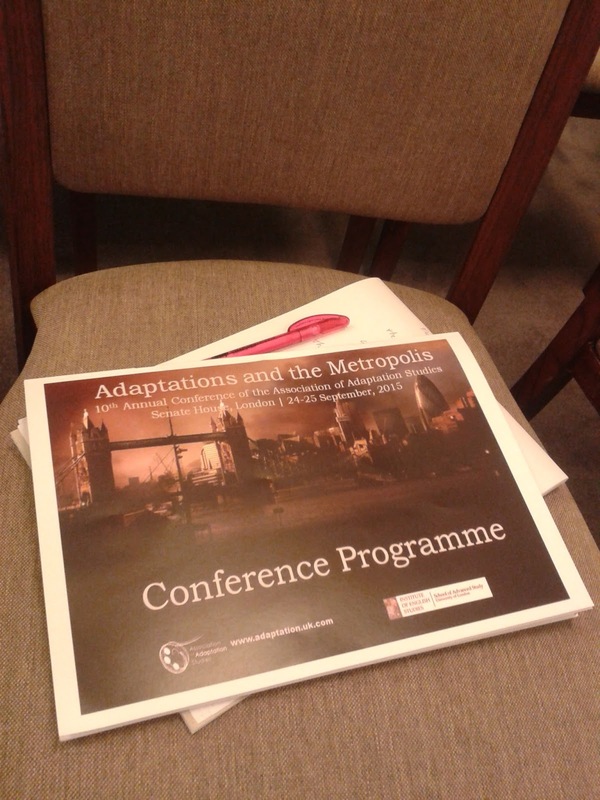 Adaptations and the Metropolis Conference - How did it go? 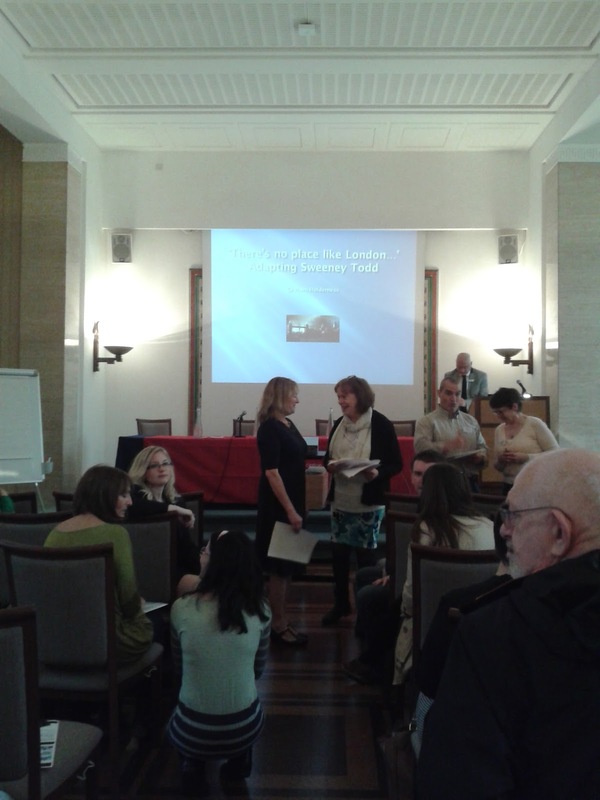 After years of absence from conferences, attending the 10th Association of Adaptation Studies Conference in London last week (24-25 September) has been refreshing and exceedingly stimulating. 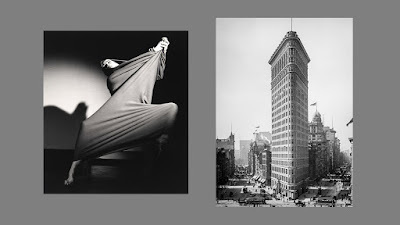 Titled Adaptations and the Metropolis, it was devised to explore the interconnections between literature, films, videogames, dance, theme parks etc. and metropolises, because “through the presentation of the metropolis in past, present and speculative adaptations we are able to understand aspects of our changing lifestyles, the effects of urbanisation on literary and visual art, national identity, social inequalities, territorial displacement, environmental destruction, utopias and dystopias, and our social and psychological relationship with architecture and city development”. 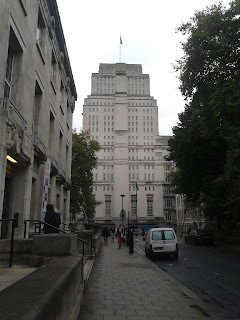 The place where the conference was held, was Senate House, a building I was used to visit very often during my PhD research as it is the home of one of the best academic libraries in London, Senate House Library. 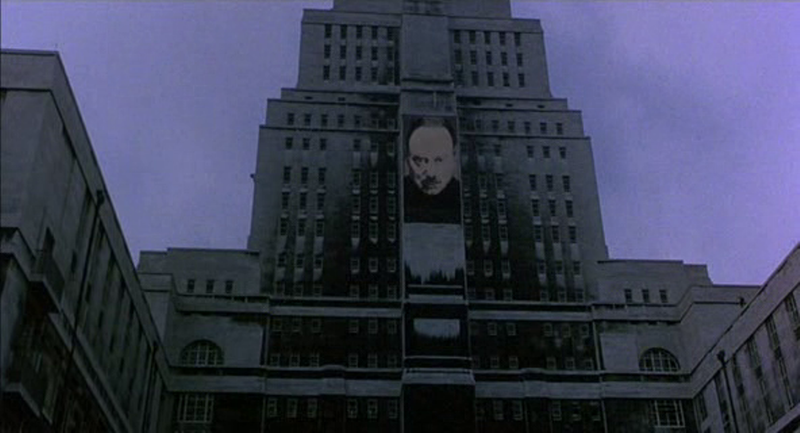 In an eerie and uncanny way, the building was also the object of two fascinating papers, one by Nicholas Ruddick and the other by Elena Nistor, who both talked about its almost disturbing connection with literature and film (the meat of the matter in Adaptation Studies) in George Orwell’s novel 1984 and its 1984 film adaptation. The keynote speaker of day one, Graham Holderness, gave a stupendous paper on the adaptations of Sweeney Todd, leaving us wondering about Fleet Street in London and Todd’s barber mechanical and diabolic chair. The panels I managed to attend were all interesting and in some cases also fun, like Joyce Goggin’s “Adapting the Moneyscape: Las Vegas and the City Theme”, Nico Dicecco’s “Adaptive Play: Scott Pilgrim and the Pleasures of a Violent City” or Ana Coelho’s “(Dis)placement and fantasy in Lost in Austen”. In other cases, they took an unusual perspective on the topic, like Marta Frago’s “The city as mirror of dreams in the new political biopic”, which dealt with the connection between the city and representative figures (kings, queens, politicians) as portrayed in films like The Queen and The Iron Lady, or Johannes Fehrle’s “The Post-Apocalyptic City as Jungle in SpecOps: The Line” which focused on a videogame adaptation of Joseph Conrad’s Heart of Darkness and Francis Ford Coppola’s Apocalypse Now. There were many papers I was interested in but could not go to, like Dario Lolli's "Tōkyō, Capital of Postmodernity?”, Christophe Collard’s “Refracted Remediation: Pyncheon’s Brussels As Liminal Milieu”, José Duarte’s “Everything becomes chaos – Gotham as vision of the contemporary city” and Laura Fryer’s “Absorbing the world of others: Ruth Prawer Jhabvala’s adapted screenplays and presentations of cities”. What about my paper, “Kinetic lines, embodied perspectives: Martha Graham's Lamentation and the City of New York”? Well, I am pretty glad about it. It was scheduled for the afternoon of the first day in a beautiful room on the third floor. I had some problems with my powerpoint and was a little nervous, but I talked through all its most important aspects, was able to show all the photographic and audiovisual material I intended to show, and received cool and at times thought-provoking feed-back. On day two, I was particularly mesmerized by the conversation between two historic figures, screenwriter Andrew Davies and former Head of BBC Drama, Jonathan Powell. It was like listening to history directly talking to us, and very informative of the way things work within television programming. The conference dinner was at Antalya Restaurant, a Turkish restaurant nearby and the buffet lunches and coffee breaks at Senate House during the two days were delicious.